Image of the “Battle Standard of Ur,” or the “Royal Standard of Ur” is a Sumerian artifact excavated from what had been the Royal Cemetery in the ancient city of Ur (located in modern-day Iraq, south of Baghdad). It is approximately 4,500 years old. The biblical description of man’s approximately 1,700 years of existence before the great Flood is brief, primarily occupying the first seven chapters of the Bible. One of the particularly curious features about the antediluvian world is the immense ages to which the population lived. Adam lived 930 years. His son Seth lived 912 years. Noah lived 950 years. His son Shem, who was born before the Flood but lived the majority of his life afterward, lived to be 600 years old. Certain Bible apologists attempt to answer the question of antediluvian lifespans by saying that the word for “years” is mistranslated and should be “months.” But this unusual idea does not hold water. One of the reasons is because ages are also given for conceiving children—this would mean pre-Flood “men” 5 years old or even younger were running about impregnating pre-Flood women. Another reason is that just after the Flood, it takes a few generations for ages to fully taper off to “normal” lengths. For those “interim” people that lived 600 years, then 400 years, then 300 years—are we to similarly reinterpret their ages in terms of months, or years? When is the transition? Clearly, this apologist attempt cannot be taken seriously. The Bible is very clear and forthright about the ages of individuals. As such, the sheer length of the antediluvian human lifespan is dismissed today as being the stuff of crazy legend. The Sumerian King List is an ancient listing of the first kings of Sumer and related dynasties. The list is preserved in varying forms on several different ancient tablets dating back as far as 2000 b.c.e. Perhaps the most famous is Weld-Blundell 444, a cuboid prism dating to c. 1817 b.c. There are a couple of fascinating facts about the Sumerian King List. It mentions a listing of eight kings and then a massive deluge, destroying everything. This is similar to the biblical account, which mentions a total of 10 full generations before the Great Flood. Later Sumerian lists add two extra names to the list, bringing the total number of antediluvian rulers to 10—just like the Bible. There is something else very interesting about the Sumerian King List. The lifespans given for the pre-Flood rulers are immensely longer than those who lived after the Flood. Actually, the number of years given in the Sumerian list to each of the antediluvian rulers is immense. The youngest ruled for “only” 18,600 years, and the oldest for a whopping 43,200 years. So while the general antediluvian features of the Sumerian King List parallels the Bible story—eight to 10 generations, living to immense ages, before a great flood came and destroyed everything—the fact that the list’s early lifespans are so long is completely irreconcilable with the biblical account. Or is it? There is more to the early Sumerian King List than meets the eye. For the antediluvian rulers, ages are given in terms of “sars” (a unit of 3,600 years), rather than in standard year increments. This was part of the Babylonian sexagesimal numerical system (a system that used a base of 60). The surrounding peoples, including the Semitic-language peoples, used a decimal system (a base of 10, as we use today). All the pre-Flood ages given in the Sumerian King List are divisible by 60, and are rounded to the nearest 600 years (a “ner”). 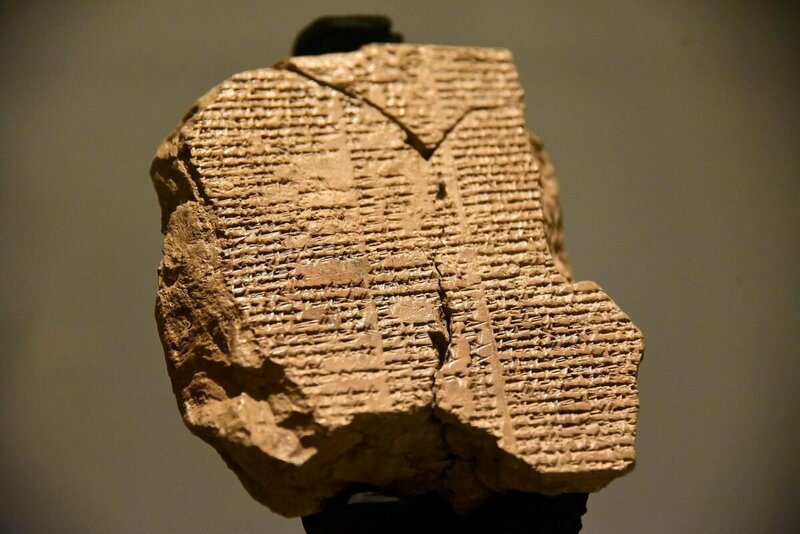 Much research has been done into parallels between the antediluvian biblical list and the Sumerian King List. Dr. Raul Lopez believes that both accounts are related and represent a simple error caused by a Babylonian scribe probably obtaining some kind of Semitic clay tablet of generations similar to the Genesis record, and mistaking the documented years for being in the sexigesimal system rather than decimal. Apparently, this could have been a rather easy mistake, given the close parallels between both numbering system’s cuneiform symbols. While the ages of the certain individuals are different (obviously, given that different individuals are described in the biblical list and Sumerian King List), the time frame given for the successive antediluvian generations matches very closely between the Bible and the King List, when allowing for this assumed scribal error. Much more detail on this can be found in Dr. Lopez’s article here and another article by Dr. George Insham here. Putting aside for now any complex calculations, it is simply striking that we have an ancient king list documenting 10 complete generations of men living to immense ages before a great flood, after which the average age plummets. The general similarities are too much to simply dismiss. And it is clear that this Sumerian list, or even a similar parallel, was not the source for the Genesis antediluvian list. This is because the Sumerian list is accurate to the nearest 600 years; Genesis is accurate to the nearest one year. And the Genesis account is, in general, immensely more detailed than the Sumerian. It is far more authoritative and specific. The final king of this first part of the Sumerian list lived concurrently with a certain Utnapishtim. This individual is famously known as the Sumerian “Noah” and is described in the Sumerian Epic of Gilgamesh (dated sometime before 2000 b.c. ; biblical chronology shows the Flood happened around 2350 b.c.). According to the Epic, Utnapishtim was instructed to build a boat within which he, his relatives and all species of animals were to survive a flood that would destroy all mankind. Like the biblical account, the Epic states that the reason for the flood was human wickedness. Also like the biblical account, the large boat came to rest on a mountain. Both accounts describe birds being released to test whether the water had sufficiently subsided. In fact, both accounts describe the use of the same bird species for this purpose—the dove and the raven. Both accounts record that sacrifices were offered after the flood, and both records say that the men (Utnapishtim, Noah) were afterwards blessed. More detail on this can be found in our Flood article here. The next part of the list describes the much “younger” rulers—most of whom ruled for around 900 years or close to it. This matches the assigned biblical pre-Flood ages, without any presumption of “scribal error.” So how do these long ages fit after the Flood? Some have speculated that rather than being post-Flood kings, these were actually parallel rulers who lived before the Flood, reigning concurrently with the kings from the first part of the list. One reason for this theory is because the King List is broken up into parts according to location of rulership. This block of “900-year rulers” (we’ll label them in this way, for simplicity’s sake) reigned from a different land. So rather than having ruled after the Flood from a new location, they probably still represented pre-Flood rulers over different territories. This provides evidence that the prior listing of “900-year rulers” actually belongs to the pre-Flood era. And their ages match up directly with those of the biblical antediluvian world. After the “900-year rulers” on the King List, there is another drop-off in lifespan, this time to what we would today consider normal lengths of reign (between five and 40 years). There are some additional clues showing that this second part of the king list represents pre-Flood rulers. Just after the time of the “900-year rulers,” as the lifespans dropped to “normal” (post-Flood), a character called Gilgamesh is on the scene. This character meets with Utnapishtim, the Noah-like character mentioned above, to discuss the secrets of immortality. This would match with the biblical account of Noah remaining on the scene after the Flood as human lifespans were sharply dropping. Also at this time, just after the “900-year rulers,” is the ruler Enmerkar. This king is mentioned in Sumerian literature in the context of building a tower and desiring unity of language among the people. The “kar” in his name means “hunter,” and together with the preceding consonants “NMR,” evidence strongly suggests that this man was “Nimrod, the Mighty Hunter” who built the tower of Babel directly after the Flood. The Sumerian King List describes Enmerkar as building the city of Uruk. The Bible describes Nimrod as building “Erech.” The parallels between Enmerkar and Nimrod are abundant. (Take a look at our article “The Tower of Babel: Just a Bible Story?” for more information.) This provides evidence that the prior listing of “900-year rulers” actually belongs to the pre-Flood era. And their ages match up directly with those of the biblical antediluvian world. The careful biblical precision is clearly evident and supports the fact that these ages were not arbitrarily picked out of thin air. The pre-Flood biblical lifespans are, of course, typically pushed away as being over the top and extreme. But what is of note about the Bible is just how reasonable the ages of humans are. Perhaps you haven’t thought of it like this before. But no human lives beyond 1,000 years. There is a clear, progressively descending curve in ages directly after the Flood—not a vertical drop-off. The Bible shows quite clearly that due to some kind of post-Flood change, human age became shorter and shorter. Compare these biblical ages with those of other traditions and religions. There is, of course, the above-mentioned Sumerian “scribal error” (yet still believed by the ancient population), documenting kings reigning up to 43,200 years. Hinduism’s Lord Rama ruled for 11,000 years. China’s Eight Immortals lived, before their ascension to immortality, for 14,000 years. Falun Gong’s Chen Jun lived in China for 16,100 years. And on the extreme end of the spectrum? 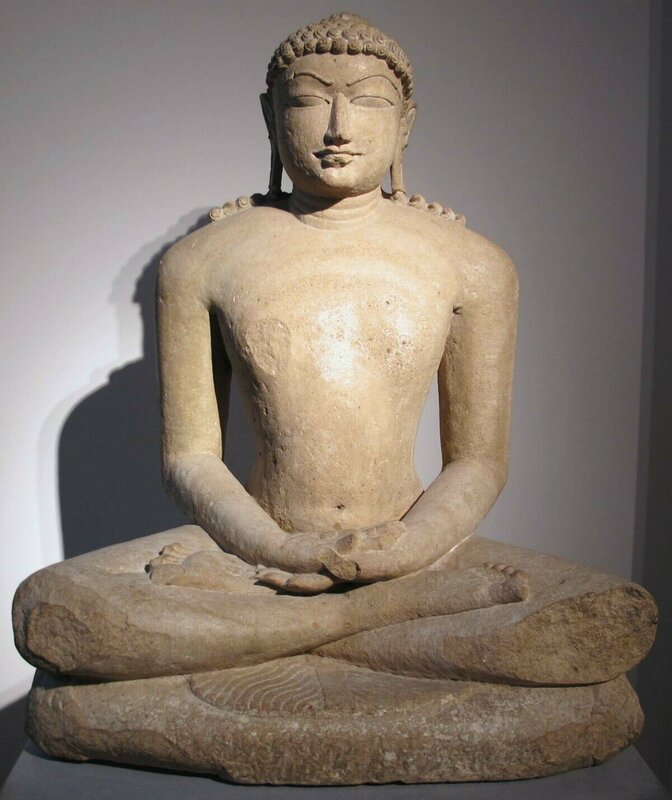 Jainism’s Rishabhanatha, who lived to the ripe old age of 592,704,000,000,000,000,000 years old. Not only are the biblical ages by far more reasonable, what is notable, again, is the accuracy. Biblical ages are given to the nearest year. The above ages from other “sacred” texts are given to at least the nearest 100 years. The careful biblical precision is clearly evident and supports the fact that these ages were not arbitrarily picked out of thin air. But putting aside other texts, just how feasible are these antediluvian lifespans? When it comes to longevity, there is a lot scientists just don’t know. We cannot know specific conditions on Earth before the Flood—the type of food, atmosphere and general environment of the antediluvians. Under the right conditions, though, vast ages can be reached in our “modern” world by large vertebrate animals. One modern example of this is the Greenland Shark. In 2016, scientists radiocarbon-dated a number of Greenland Sharks. They determined that the largest, oldest shark had lived for 392 years, plus or minus 120 years. Taking into account the room for error, the shark was at least 272 years old or at most 512 years old (though most likely in the middle, around 400 years old). Think of that—this shark could have been swimming around the North Atlantic before King Henry viii became king, before the Protestant Reformation, and only just after Christopher Columbus “discovered” America! Other long-living animals include koi fish and rockfish, which can live beyond 200 years. The bowhead whale is the longest-living mammal, aging well over 200 years. An Aldabra giant tortoise took the record for longest-living land animal, dying in 2006 after a long life of approximately 255 years. And the oldest individual “animal” ever discovered and accurately dated is the Quahog clam (507 years, accurate to plus or minus 2 years—possibly surpassed by the Greenland shark, above). The oldest confirmed human lifespan during the modern era is that of Frenchwoman Jeanne Calment, who lived to 122 years. The oldest confirmed living person is Japanese Kane Tanaka, at 115 years. There are problems with these conclusions though—they require quite stringent evidence of age, and thus overlook many others who do not have such proof of birth date. Such proof of age was less common in earlier years, especially in more remote and rural parts of the world (where, it could be argued, nutrition and more natural living could promote a longer lifespan). As such, there are many unverified-yet-probable “record” ages, including an Indonesian man (who did have papers confirmed by officials) who died in 2017 at the age of 146. 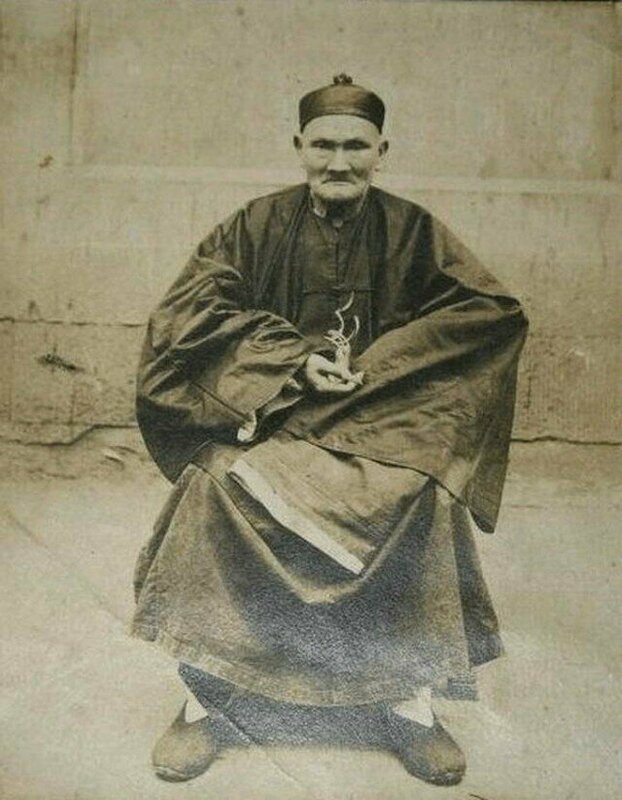 China’s mountain man and herbalist Li Ching-Yuen (d. 1933) has two given birthdates—either 1736 or 1677—which gave him a total lifespan of either 197 years or 256 years. He himself is reported as saying he was born in 1736—however, records were provided showing a birthdate of 1677. Added to that, the Chinese government had reportedly sent him congratulations on both his 150th and 200th birthdays. He was met by Chinese military leaders and asked of his secret to living 250 years. Li Ching-Yuen’s age, though, is simply dismissed by gerontologists as myth. It certainly doesn’t help that his location of death is unknown. Many ancient records from countries such as Greece, Japan, China and Korea document individuals within the past 2,000 years living from 200 to 300-plus years of age. Of course, these are impossible to verify. One feature of some long-living creatures is a corresponding lateness in reproduction. 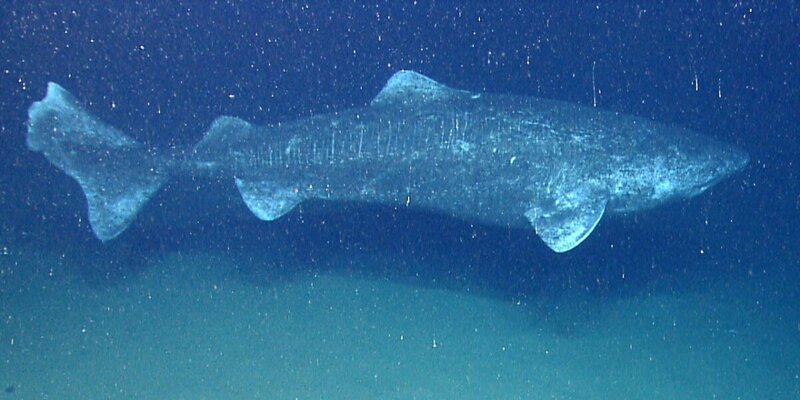 The Greenland sharks are believed to reach sexual maturity at around 150 years of age. One example of a New Zealand tuatara—a reptile species that can live over 100 years and possibly up to 200—successfully mated for the first time at the age of 111 years (though these creatures generally do mate much younger, at around 10-20 years). It is interesting to note that corresponding to their vast ages, the antediluvian patriarchs also reproduced quite late in life. Genesis gives the ages of “conception.” Methuselah, the oldest patriarch at 969, conceived his son Lamech at the age of 187. The second-oldest, Jared (962 years), conceived at 162. Noah, who lived to 950 years, conceived his three famous boys around 500 years of age. The youngest-recorded antediluvian age to conceive was 65 (a tie between Mahaleel and Enoch). It is possible that the antediluvians reached sexual maturity much later in life. After the Flood, together with the massive drop in age, there was a corresponding drop in the age in which humans are described as bearing children. The first-described age of reproduction for someone born after the Flood is Arphaxad (son of Shem), who conceived at the “young” age of 35. And of course, this number continued to drop. 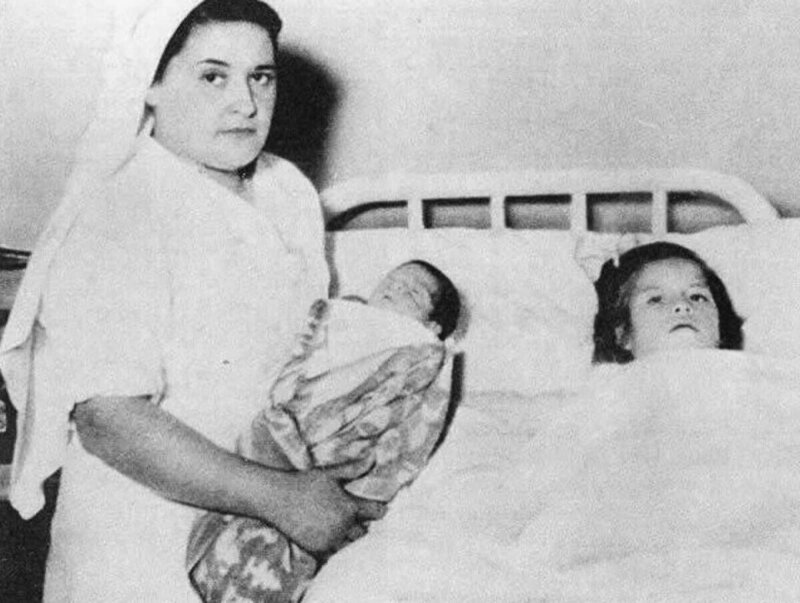 Lina Medina, at 5 years, 7 months, and 17 days old, after giving birth (by a caesarean section). Taking this “drop” in reproductive age, fast-forward to modern times: The youngest-ever confirmed mother, Lina Medina (born 1933 in Peru), was just 5 years old when she gave birth, followed by two who gave birth at 6 years old (also during the 1930s). Of course, these three are wild extremes. But it has been shown that over the last 100 years, and especially over the last several decades, the age for sexual maturity has plummeted. In 1880, the average age of sexual maturity was 18 years old. In 1980, it was just 12.5. In 2011, for the United States, the average age of puberty onset for girls dropped to a staggering nine years old. A 2009 study found between 10.4 percent to 23.4 percent of U.S. girls (depending on ethnicity) began puberty at the age of seven. The stats for puberty onset in boys are only slightly “better,” by at least a couple of years. Obviously, these extreme (and troubling) changes in age come as a result of many factors, including diet and environment. Researchers are still trying to figure out exactly what is the cause. But it is simply a representation of our constantly changing human “norms.” While extreme longevity sounds strange and unbelievable to many today, our extremely young sexual maturity today would also have seemed strange and unbelievable to our ancestors. We base our knowledge of the world on what is familiar around us. We cannot know conditions on Earth before the Flood. We cannot know the kind of food they had or the type of environment and atmosphere, which even on a geographical and continental level could have been vastly different from what we know today. In our day and age, we see areas of vast improvement from centuries before, and also areas of vast degradation (especially in the realm of nutrition). We simply aren’t in a position to pass judgment about what kind of human longevity was feasibly possible 5,500-plus years ago. The Bible describes an immensely long human lifespan. Could the lifespans of animals have also likewise been expanded? Did humans reach sexual maturity much later? It seems apparent that they did. Did God perhaps even originally engineer humans specifically to live an exceptionally long time for a reason? [F]or those ancients were beloved of God, and made by God Himself; and because their food was then fitter for the prolongation of life, might well live so great a number of years: and besides, God afforded them a longer time of life on account of their virtue, and the good use they made of it in astronomical and geometrical discoveries, which would not have afforded the time of foretelling (the periods of the stars) unless they had lived 600 years; for the great year is completed in that interval. But let no one, upon comparing the lives of the ancients with our lives, and with the few years which we now live, think that what we have said of them is false; or make the shortness of our lives at present an argument, that neither did they attain to so long a duration of life. … I have for witnesses to what I have said, all those that have written Antiquities, both among the Greeks and barbarians; for even Manetho, who wrote the Egyptian History, and Berosus, who collected the Chaldean Monuments, and Mochus, and Hestieus, and, besides these, Hieronymus the Egyptian, and those who composed the Phoenician History, agree to what I here say: Hesiod also, and Hecataeus, Hellanicus, and Acusilaus; and, besides these, Ephorus and Nicolaus relate that the ancients lived a thousand years. There can be all kinds of corroboratory sources for this and other similar biblically historic subjects—but at the end of the day, it really comes down to faith. That being said, the Bible actually condemns “blind” faith, but it commands an educated faith. Come now, and let us reason together, God says (Isaiah 1:18). PROVE me now herewith, He commands (Malachi 3:10). A good place to start would be with our free booklet The Proof of the Bible, by Herbert W. Armstrong. The Great Flood: Just a Bible Story?